You’ve just awoken on a Saturday morning from a night you care not to remember. You head downstairs to your kitchen, and lo and behold, someone left you some ~gifts~ you didn’t expect — Burnett’s, your favorite pal! Beyond excited to have ended up with only the best and most delicious drink to grace our campus, you suddenly realize it’s not what you expected. You got the reject flavors. While Burnett’s is known for creating wild nights, but it should be more well-known for some of the ridiculous flavors the people who want to end Earth as we know it its creators have chosen to produce over the years. Those flops are unfortunately the ones your oh-so-generous friends left behind for you, but all is not lost! 4E is here to help you make the best of the worst and give you suggestions on how to keep the debauchery going. Cucumber Lime. It’s Corona and Lime for a reason. Nobody ever asked for this. Cucumber and lime classically go with gin, so this is just a meager, failed attempt to reinvent the laws of mixology. If you’ve ever smelled the stench from a stinkbug, it’s not so different from the way this flavor smells. Unfortunately, the only way to use this up is by covering up the taste in some sort of extreme jungle juice, where you can almost mask the flavor in your sorrows the taste of off-brand soda and random alcohols you found in the back of your fridge. Maple Syrup. Aunt Jemima didn’t die for your sins so you could disrespect her delicious syrup by infusing it into an off-brand vodka. To be honest, this is like the Mrs. Butterworth’s of vodka: You simply are conditioned from birth to look down upon it and anyone that consumes it. If you’re ever ~low~ enough to actually buy this, you’ve hit rock bottom. However, this flavor is golden for a boozy brunch. Pour some into your syrup to get things started up for Homecoming or Georgetown Day — the more, the merrier. Pumpkin Spice. It may be ~PSL SZN~, but that by no means justifies this atrocious flavor. There are some things that simply don’t go together, and pumpkin and vodka happen to be two of these things. If you ~need~ to find a way to rid yourself of pumpkin spice Burnett’s, there is only one way — mix it with other alcohol. Since it’s such a unique flavor, no sodas or other traditional chasers are going to work, so mix equal parts Burnett’s and Rumchata or Baileys, depending on your preference. Serve chilled as shots or a festive cocktail. Orange. Just call GERMS right now. I’m 100% convinced that this actually isn’t vodka but rather Mr. Clean Orange Floor Cleaner. There is simply no way this stuff is suitable for human consumption — which is tough to believe since citrus Burnett’s theoretically should be similar but is exponentially better. In any case, you definitely want to mix this with fruit juice. Try mixing 1-part Burnett’s to 1-part cranberry juice to 1-part Triple Sec to 2-parts orange juice for a floor-cleaning take on a margarita! Limeade. Lime is definitely not the worst flavor, but take Burnett’s Lime, add green food coloring and a bit of Windex, and you have Burnett’s Limeade! This flavor is pretty hard to come by nowadays, and that’s definitely okay by us at 4E. In any case, you’re definitely going to want to stick with citrus. This mixes decently well with lemonade (disclaimer: this is a drink, not a song by Beyoncé). You’ll probably want to forget you went so low as to purchase green vodka, so try 3-parts Burnett’s to 2-parts lemonade. Throw some colored sugar on the rim just to be ~fancy~, and there you have it! While they’re nothing like Citrus or Pink Lemonade, let’s hope that these ideas will help you stay lit get your creative juices flowing! GERMS: the one word your parents do not want to hear when you call them at 8 AM on a Sunday morning. Many people have been in this situation, and they’ve said it’s quite shameful. Generally, you hear more about people calling GERMS on other people. You hear about how they were such heroes, how they condemned saved their friends, how they weren’t involved but watched someone else get GERMSed, etc. However, you may occasionally hear someone tell you about how he/she was GERMSed on a fateful weekend night. These stories are certainly interesting because you’re hearing the survivor’s side. Some are curious as to what actually happens when someone is GERMSed. As always, 4E has the inside information on what happens to these unfortunate souls. So, here are the steps of being GERMSed. Context– You’ve had a rough week. Three midterms, two papers, and you’re working on homework until 2 AM every night. You may also have been rejected from yet another club. When you leave Lau at 9 PM on Friday night, you’re ready to go out and go hard. However, in your mad rush to party, you may forget to hydrate and/or eat dinner. Let’s just say that you’ve already created a recipe for disaster. 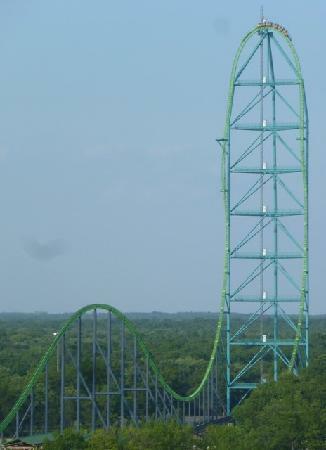 The Pregame– If this night was Kingda Ka, one of the world’s tallest roller coasters, your arrival at the pregame is the point where you start shooting forward, but are not yet at the steep ascent to the top. After running from your room to the pregame, you quickly down a larger-than-recommended amount of Burnett’s (Note: we at 4E only encourage responsible drinking–meaning if you’re 21+, of course–so check out these articles if you need help choosing flavors). Soon after, you start to feel a nice buzz, but nothing too crazy yet. You forget the fact that your stomach is empty and decide to take a few more shots before heading out to the party. You’ve now begun the ascent to the top of the rollercoaster. The Party– Now, you’re in the middle of the ascent, almost to the top. This party is #lit full of debauchery, and handles of Burnett’s are floating around everywhere. You even spot Pineapple Burnett’s, which has gotten great reviews in the past. You’re overwhelmed by how great this party is, and fully engage in the “festivities”. When you’re ready to leave with your friends and venture to Epi, you’re just at the top of the rollercoaster, about to drop into a full-shame spiral. Epi / Walking Home– You arrive there with some of your friends and buy a quesadilla. In the process, you realize you are out of Flex Dollars, which adds to the catastrophic nature of this night. In the process of devouring your quesadilla, your BAC continues to rise. You figure you should be fine since you’re eating now, but you couldn’t be more wrong. After walking back to your dorm, you decide to hang out in a friend’s room to close out the night. It looks like there’ll be a happy ending, right? ~Death~– One thing leads to another, and you find yourself in the bathroom, not in a good state. At this point, you’ve made some sort of scene and have attracted too much attention to yourself. Your friends keep checking on you, and you try to convince them and other spectating floormates that you are totally fine. However, they know better and someone eventually calls GERMS. If you haven’t guessed already, you are spiraling downwards, almost to the bottom. GERMS– You hit rock bottom when GERMS arrives. It’s important to note that you don’t have to go with GERMS if you’re coherent. Keep in mind that they are students too, and are not looking to get you in trouble or imprison you in the hospital. They’ll ask you a few questions to make sure you’re okay, and if you seem like you’ll make it, you can sign a release form and go back to your room. So, the ending isn’t exactly happy (if it was, GERMS wouldn’t be there in the first place), but it could be worse. If you’re not coherent and/or clearly not okay to spend the night on your own, you’ll probably have to go with GERMS to the hospital. You probably know the rest: you spend the night in the hospital, and the people there release you when they deem you to be okay. You’ll probably promptly run back to your room and fall asleep. The Morning After– If you actually went to the hospital, you’ll have to call your parents and tell them to expect a bill. You might look something like this. While your parents might look like this. It’s probably better to tell them the truth early on, just so they aren’t surprised and find out through a letter. If you didn’t go to the hospital, it’s up to you whether you want to tell your parents. If you think you have a problem, then you might want to do so. If you just want to put it behind you and learn from the past, it might be better to keep it a secret. Either way, the morning after your encounter with GERMS is sure to be interesting. People in this situation have described feeling shocked, embarrassed, angry, and even humored. It takes time to process how you hit rock bottom in the span of a few hours. And just like that, we’ve completed the roller coaster. While the idea of GERMS may seem humorous to some, it really is a big help to students in need. Part of the reason it’s so great is that the students who run it are very understanding and patient. Let’s just say that if it was my job to take care of drunk students all night long…I would probably go crazy. Burnett’s. We’ve all ingested this flavored poison at some point and experienced its wonderful taste. Some people may have told you about the best and worst flavors. But let’s be real: times have changed, and people’s opinions and tolerances taste buds have well shifted. Or maybe, they’re not sure what flavor suits them, and are just looking for their soul stealer mate (in terms of flavor, of course). Either way, students (21+) need an update on the way to drink Burnett’s in order to prepare for the school year ahead of us. As a proud member of Georgetown’s most ~debaucherous~ club, I am pleased to present a concise guide to drinking Burnett’s various different flavors. Sweet Tea: Commonly overlooked due to the fact that its taste will make anyone gag more than any other flavor, Sweet Tea is actually a very good mixer. You probably shouldn’t try to take shots of this. It just won’t end well for anyone. Mix it with lemonade, and you’ve got a great summer drink. It’s commonly called the “John Daly.” With Burnett’s, however, I’m not sure if it really deserves a title. It’s just Sweet Tea Burnett’s with lemonade. 2. Pink Lemonade: Now we’re in the big leagues. Pink lemonade has caused several students to have unforgettable nights, whether at Village A or at Brown House. Although many students prefer to drink it straight in small amounts, it actually mixes really well with regular pink lemonade. Your drink will be so pink that it looks scary, but apparently it’s worth it in the end since it goes down much easier. So the ends justify the means, right? 3. Fruit Punch: This may surpass Pink Lemonade in excellence, because it goes down just as easily and isn’t too strong on the signature Burnett’s aftertaste. The only problem with this flavor itself is that it stays with you, as in you wake up the next morning with a haunting taste of fruit punch lingering in your palate. Mixing this flavor with 7-Up should neutralize the overwhelming flavor and allow you to enjoy it. 4. Lime: Hoyas have mixed feelings over this flavor. Some say it’s the only Burnett’s they can handle, while most say it’s their least favorite drink of all time. Personally, I have to go with the second opinion. If anything, I’d say mix it with Coke so that it will almost taste like Coke with Lime…. and a little bit of bleach. 5. Peach, Citrus, & Mango: I group these three together because of their God-awful flavors. Peach indeed has a peachy flavor, but not in a good way. Drinking Peach Burnett’s is similar to trying to make a good meal at Leo’s: it will work on a rare occasion, but most of the time you’ll end up worse than where you started. As for the other two, I’m definitely not a huge fan. They’re both sour and just do not go down easily, even when mixed with a strong mixer like Coke. 6. Vanilla: Vanilla deserves more credit. Many students criticize its taste, but that’s because they try to only take shots of it. They don’t try mixing it, and that just won’t end well for most flavors of Burnett’s. I recommend mixing Vanilla with either Coke or orange juice. That way, it’ll be like drinking either Vanilla Coke or a refreshing breakfast beverage. Once you try this, you’ll never try to take shots of Vanilla again. 7. Pineapple and Coconut: These two are grouped together because they’re ~tropical~ and also are delicious. Since these flavors are not as gross as some of the ones mentioned above, you can mix them with mixers like Sprite, Sierra Mist or 7-Up because the flavor will not have to be blocked out. Coconut mixed with Sprite is particularly good. I discovered these flavors in the latter part of last semester, and it was almost depressing to realize what I had been missing for so long. It’s also unfortunate because I’ve rarely seen these flavors in stores. There are also many more flavors of Burnett’s, such as Cherry Cola or Blue Raspberry, but only try them if you’re feeling ambitious. At the end of the day, everyone has their own preference, and 4E is always here to guide you to making the “right” choice when it comes to drinking Burnett’s, should you ever find yourself in that unfortunate situation. Eleven days ago marked the 99th day before graduation (cue tears). Now, we are down to 88. How scary is that? 88 more days until I am officially irrelevant (Read: irrelevant here, I will always be relevant). To keep you in the loop (and keep myself in check) I will be doing a series of posts focusing on these last 99 days. Join me on an adventure of Tombs, thesis writing and goodbyes. Is it too late now to say sorry? For those of you who don’t know, for the last 99 days of school, Tombs hosts an event called “99 Days.” Basically, for 99 straight days, (some) Georgetown seniors will visit and buy something at Tombs. Those who succeed get all the glory and an empty bank account. ^Basically, I am channeling this. Take notes, my friends. Commandment #1: Thou shall not yell at the bartender (especially if its Jon). The bartender (barkeeps? therapists?) are your friends, so treat them with kindness and maybe you will get some special treatment. Also, they are people. Calm your chill, get off your high horse and join the rest of us. It is a bar, it is going to be crowded. Commandement #2: Thou shall request songs. Not all the DJs know what your #currentjam is, so you probably should let them know. And, don’t take no for an answer. If you want to hear “My Shot” from Hamilton the Musical, you should be able to hear it (Note: everyone should also hear it). Commandment #3: Thou shall not steal coats. Come on people, this isn’t Brown House. Aren’t we adults (or at least quasi-adults) now? It is cold out and there is no way that I am ubering back to my house after droppin’ so much money at Tombs. Commandment #4: Thou shall not arrive too early on a weekend. Okay, this is more of a personal rule. The earlier you get there, the longer you are going to have to wait until you can dance. Personally, I love to dance and I believe having to wait is a crime. As much as I love all my friends, there comes a point when sitting in a booth can get a little tiring. Commandment #5: Thou shall take advantage of all the drink deals. Being 21+ is expensive, as we have all realized. Tombs has so many drink deals, so why not save money where you can? Plus, if you are doing 99 days, you can still check in if you split pitchers and wine, FYI. Commandment #6: Thou shall make friends with all of the adults who visit Tombs to relive their glory days. Whether your parents are in town or a wedding just let out, these adults want nothing more than for you to have a good time. Never turn down the opportunity to get some free drinks, or fries. Both are important. Commandment #7: Thou shall not judge people on the dance floor. I’ve been advocating for a no-judgement zone on the Tombs dance floor for a while now. Whatever happens, happens. We only have a few more months to make fools of ourselves at this place. Does anyone care that much? Commandment #8: Thou shall actually go to Tombs during the day. It can be easy to forget that Tombs is a restaurant with pretty awesome food. Instead of picking up ‘za at Pizzeria Paradiso, grab a Hoya Salad at Tombs. Or, just go for brunch. Because what is better than brunch? Commandment #9: Thou shall be aware of what time it is. The worst thing about a night at Tombs is when you forget what time it is and end up the only one of your friends on the dance floor. Things can get hazy down at Tombs, so make sure you actually know when your friends are leaving so you aren’t stuck walking home at closing time. Commandment #10: Thou shall have fun, no matter what. So you got into a fight with your friend. So some girl spilled her drink on you. It is my personal belief that these are some of the moments we are going to miss the most. Don’t let the little things keep you from enjoying the memories. Stay tuned for my #knowledge in the coming weeks. That is, once I figure out my life a little more. Could We Love Tombs Any More? If you’re a Hoya, chances are you’ve been to The Tombs at least once (even if you don’t remember it). Whether it’s for a casual dinner with friends, or your hallowed Tombs Night, most of us can agree that The Tombs is a Georgetown staple. Finally the world (well at least Business Insider) has recognized the appeal of Tombs by naming it one of the 31 best college bars in the US. Yes that’s right, the entire US! We now have one more nationally recognized hot spot to add to our list of favorites. If you’re new to Georgetown, do yourself a favor and go grab a bite to eat at Tombs. Walk all the way down the stairs, open the door and step into the magic that is Tombs. Need a food suggestion? I won’t give you one because everything is delicious! Just kidding, if you need guidance go for the wings, the tombs nachos, the chicken #1 or a classic burger. Seriously though, it’s hard to go wrong. So grab your friends (and a beer if you’re over 21) and head on down to one of the best college bars in the country. In case you missed the news this past week, marijuana was legalized on Tuesday when D.C. voters approved Initiative 71 by 69 percent. But take warning … Before you throw a massive Reefer Madness party this weekend and frolic around Healy Lawn, know that this is just the first step toward total legalization. 1. Initiative 71 will not go into effect until it clears a 60-day Congressional review period. 2. If Congress does not reject Initiative 71, it will only go into effect until February or early March — just in time for April 20. Coincidence? I think not. 3. The law only applies to people over the age of 21. Too bad, underclassmen. 4. You can possess marijuana if it’s under two ounces. Backpack side pockets are finally useful! 5. Sales of marijuana are still prohibited, so please keep that Dean’s office job. 6. You can cultivate as many as six plants, as long as only three or fewer are mature. Good thing campus housing can only hold about five total. 7. And most restricting of all, smoking on campus is still prohibited. This means you will never be able to legally hug John Carroll while high or use the beakers in the biology lab as bongs (which, considering what those beakers normally contain, would be a pretty bad idea). So hold tight Hoyas, be safe and keep your eyes on the news, because next semester might just get a whooleee lottt greeenerrrr.